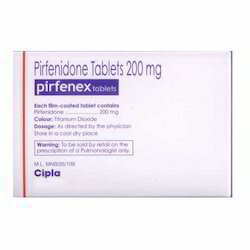 Pioneers in the industry, we offer pirfenidone tablets, pirfenex tablets and analgesic tablets from India. Our company is engaged in providing a wide range of Pirfenidone Tablets that is widely demanded in market for its unmatched quality and long shelf life. A team of adept professionals at vendors' end processed this range using high quality basic chemicals and inoculating scientific techniques in compliance with the set industry norms. Offered at economical prices, this tablet is available in diverse packaging options to our clients. Pirfenidone is used to treat mild to moderate forms of a certain lung disease. Owing to our broad experience in this domain, we are introducing a hygienically processed array of Pirfenex Tablets that is sourced from the reliable and authentic vendors of the industry. 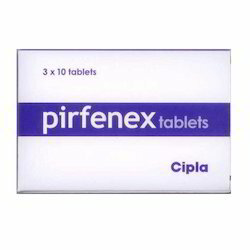 This pirfenex tablet is used for the treatment of idiopathic pulmonary fibrosis (IPF). Extensively prescribed by doctors for its offered features such as effectiveness, purity, etc., this tablet is available at reasonable prices in market. 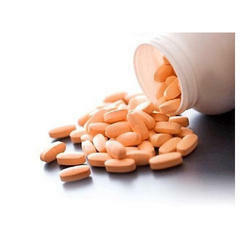 We are counted among the most distinguished organizations engaged in exporting Analgesic Tablets. Our professionals make sure to follow the norms laid by the industry at every stage of formulation. Along with this, our professionals utilize quality-tested ingredients to formulate these medicines. All these medicines are rigorously tested on different parameters, before the final dispatch to the customers. These drugs are extensively used for getting relief from pain.